5ive Star Gear Tactical Ice Grips - Medium (Up to Size 8) | BUDK.com - Knives & Swords At The Lowest Prices! Whether scaling a lofty mountain peak or simply walking down the street on a wintry day, when there’s snow or ice on the ground, the danger of potentially life-threatening slip-and-fall injuries is ever-present. 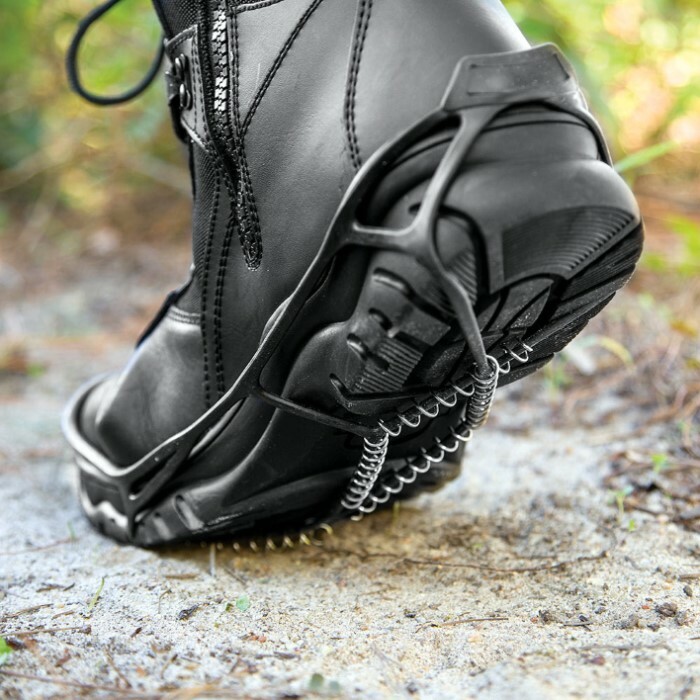 Why subject yourself to unnecessary danger when you can don lightweight, easy-to-use 5ive Star Gear Tactical Ice Grips? 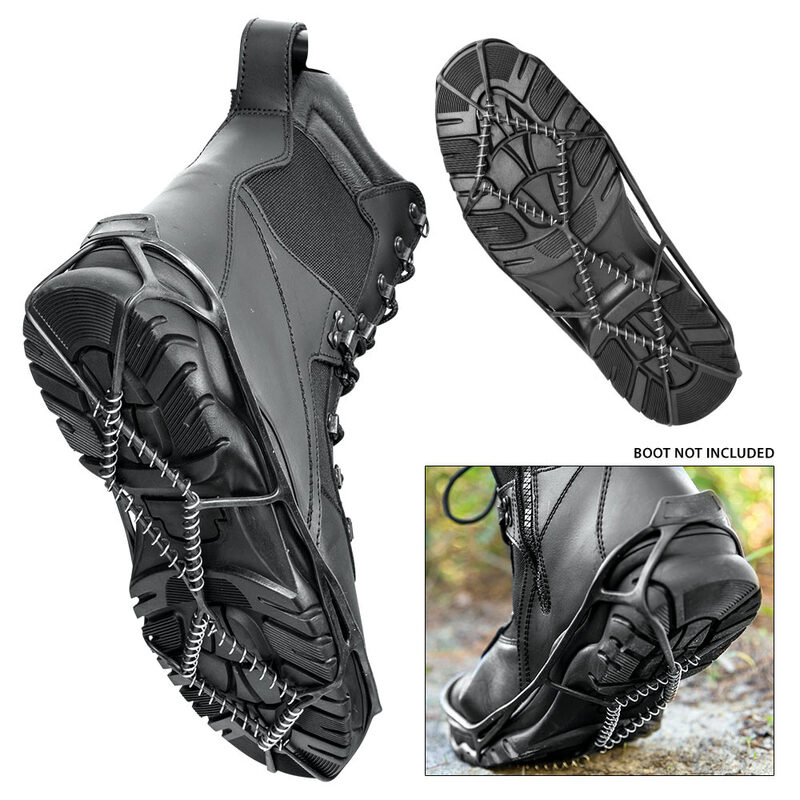 These handy ice grips reduce the risk of slipping and falling while walking on snow and ice and provide an easy on-and-off, one-handed safety solution when needed. 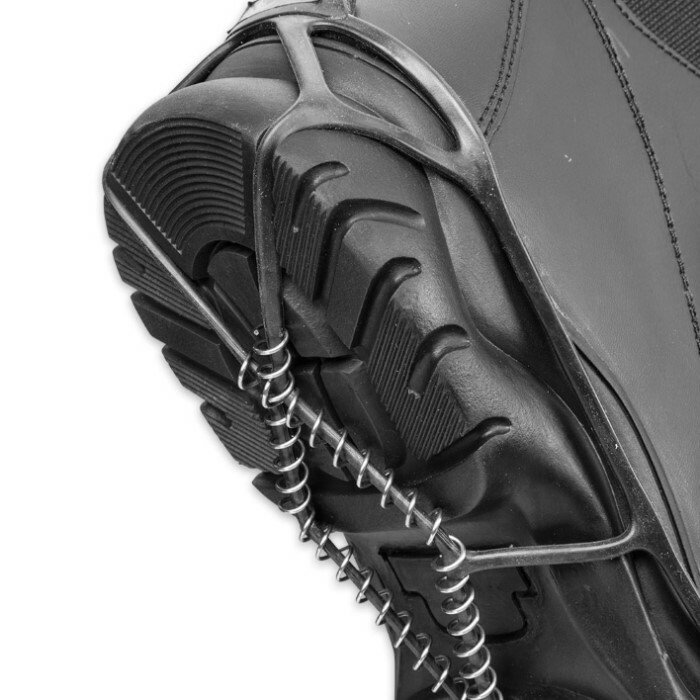 Hooks fit securely over the toe and heel for a stable fit that won’t slip. A must-have for anyone living in- or visiting snowy/icy locales. Keep a pair in every vehicle and at home to stay prepared for unexpected winter weather. Sold as a pair. Medium ice grips fit sizes up to 8.